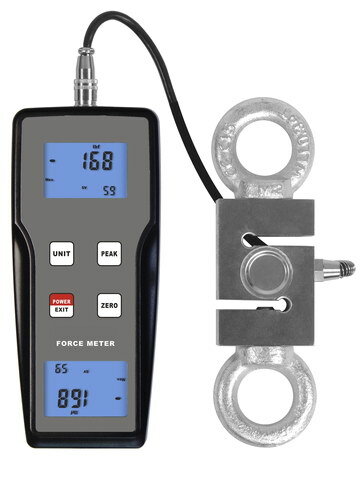 The digital force gauge is a kind of simple and convenient multi-functional instrument for high-accuracy push force and pull force test. It is widely used in electronics, building hardware, textile, auto parts, ignition device such as lighter, fire fighting equipment, pen manufacturing, lock manufacturing, fishing gear, chemical, power machinery, scientific research institutions and other industries. 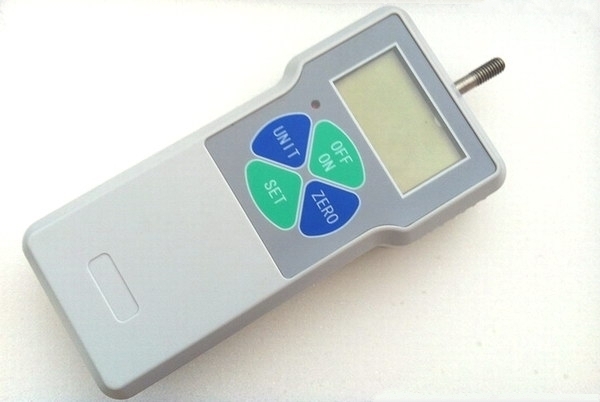 * With 4 measurement unit for selection and conversion, N, kg, lb, g.
* Power can be supplied by either alkaline battery or 6V DC power. To hang tested objects when testing pulling force. To test thrust of flat surface or convex surface. 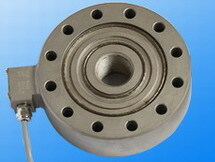 To test thrust of flat surface, concave surface or circular hole. To test thrust of cylindrical surface or the edge of perpendicular planes. To test thrust of flat surface or groove surface. 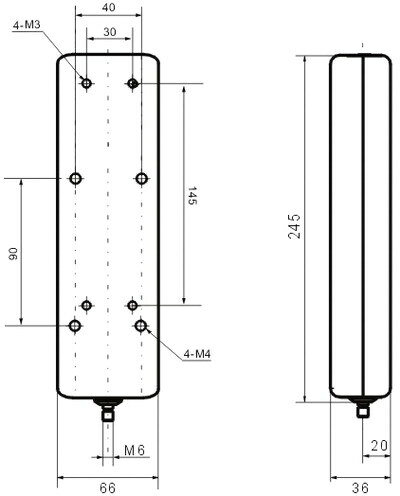 It is used in the situation when the measurement tip is not long enough. * With data memory function, can memorize 99 groups of data. This support, being combined with a force gauge, can measure the pushing or pulling force in vertical or horizontal direction. 2. Connect the Hook on the Fixing Beam through the ϕ6 Hole. gauge on the Connection Block. counterclockwise, the Sliding Block moves toward the Base. 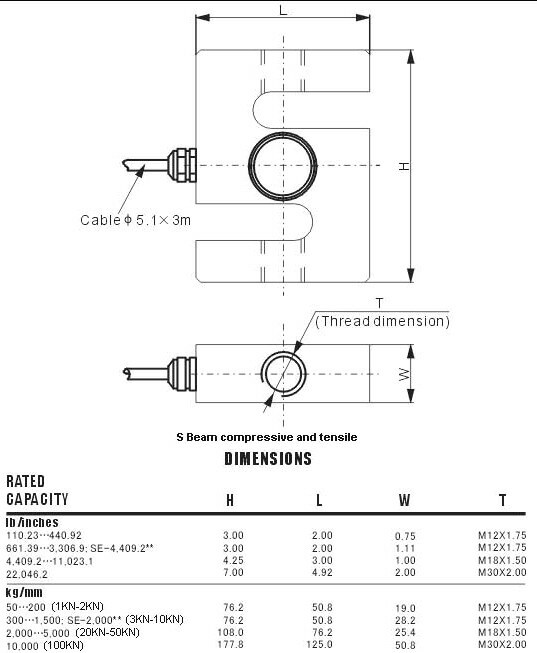 This product is a simple push pull force gauge with high performance. They are easy to operate and handy to carry out. and so on industries for testing of pull or push load test, insertion force or pull and destructive experiment. 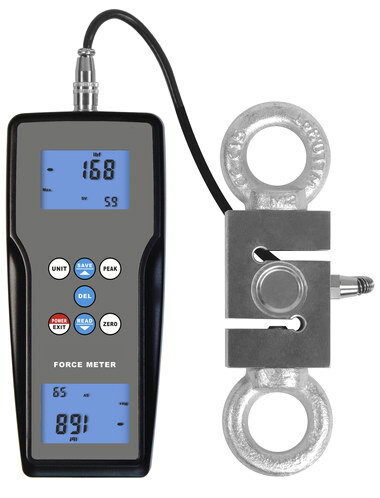 This digital force gauge is new generation pulls the pressure measuring instrument. 1:Connect the computer in-phase test. 2:The compare value set by user’s request. -Super memory function - deposit 888 test values. a. match a free software for analysis ( without graph). b. match a synchronous test software ( software is optional ), it can connect to PC to get synchronous graph, and also can reserve ,print,analysis, and so on. 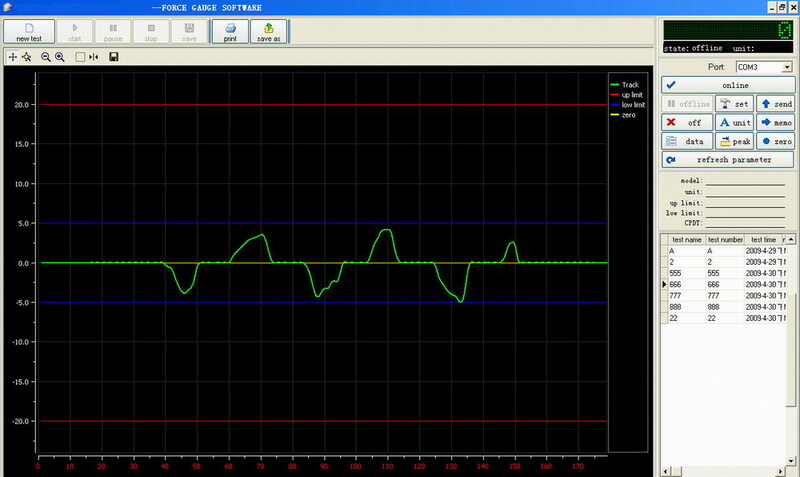 b. match a synchronous test software ( software is optional ), it can connect to PC to get synchronous graph, and also can reserve ,print, analysis, and so on. free charge. See demo here: software demo. 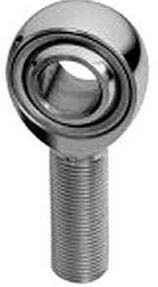 1, From HP-2K to 50k, standard delivery is with rod ends/clamps, from 100k to 1000K without, it is optional part. 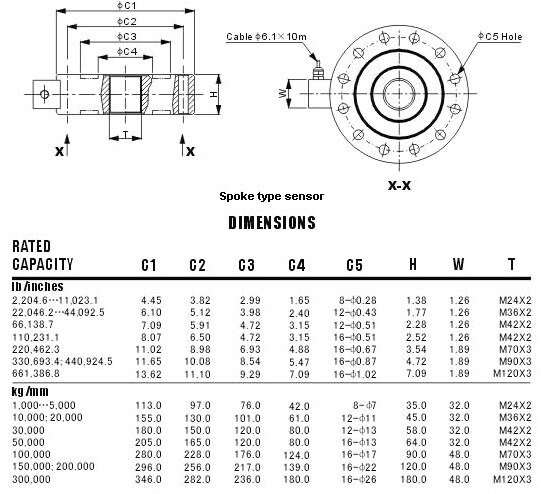 2, The standard delivery for HP-2K to HP-1000K is already with sensor. If you need it as spare part, you can order separately. 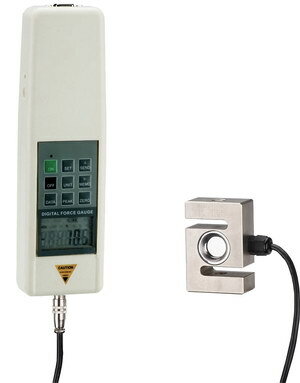 NK series are Analog Force Gauge with compact size and high accuracy. They are easy to operate and handy to carry out. Single click on a knob on the device will convert the movement of the indication needle from the peak force indication (the needle stands still indicating peak force) to the tracking indication (the needle moves in accordance with change of force). 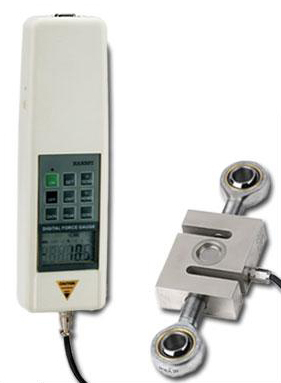 As two types of scales (Newton scale and kilogram scale) are available and you can choose the most suitable graduation from the range of 10N(1kgf) to 500N(50kgf) for your measurement purpose. -Match to all kinds of test stand and grips.